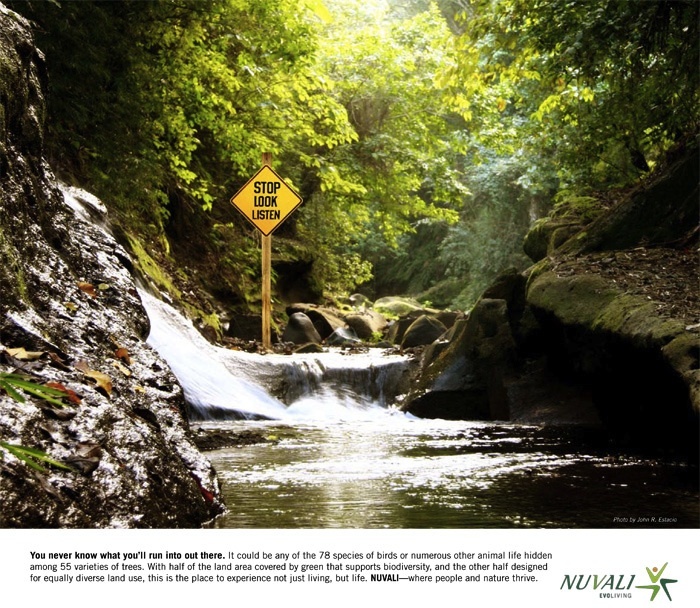 History of Nuvali – WELCOME HOME. 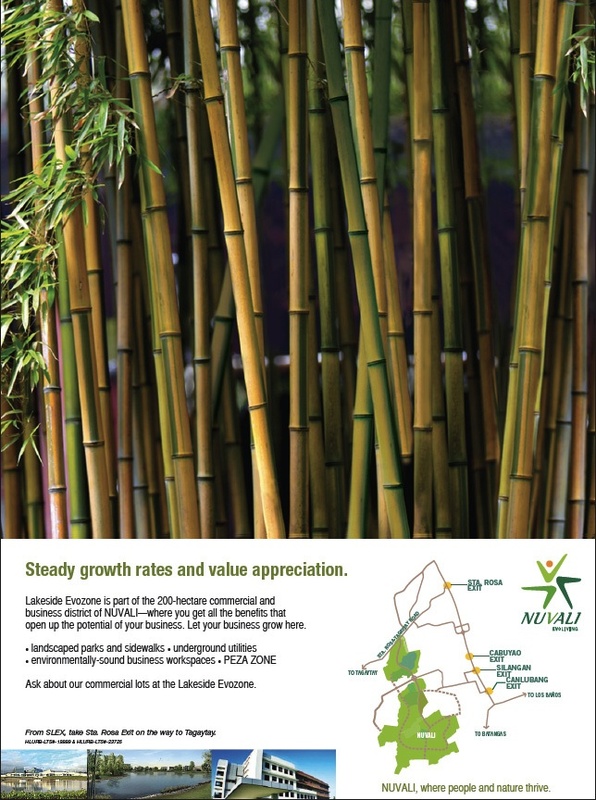 Steeped in rich history, NUVALI was once part of the Friar Lands in the 1800s, subsequently acquired by an enterprising group of Americans who developed the property as a sugar plantation at the turn of the century. Lawyer and statesman Jose Yulo acquired the property in 1948, ushering the sugar estate into agro-industrial peace and prosperity. In the mid-70s, the Yulos introduced a major planning initiative re-allocating the uses of the land. Industrial, residential, and recreational developments were established, beginning a new chapter in responsible stewardship of the property. 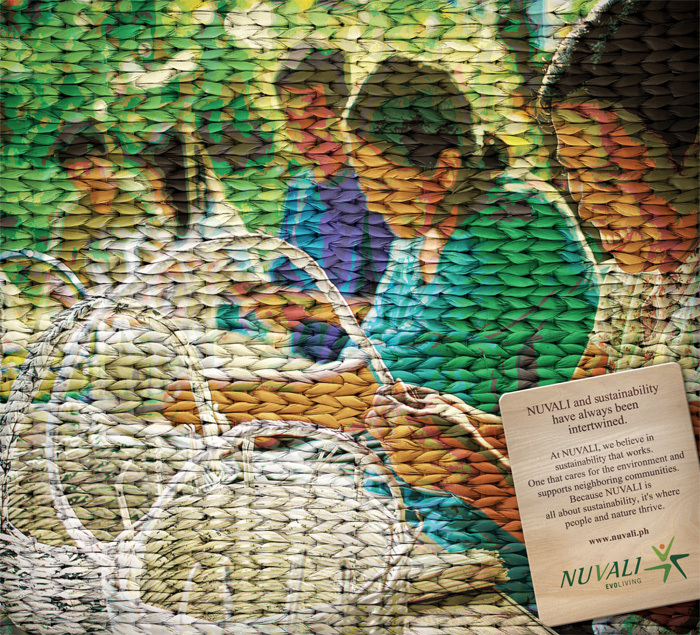 Today, guided by a new vision, NUVALI unlocks the potential for both future and existing communities. Situated in the burgeoning Southern Luzon corridor, NUVALI’s vast topography is surrounded by flourishing local communities, shops, schools, sports centers, parks, and hospitals. These and the rich cultural heritage of the region makes NUVALI part of an exciting thriving district. 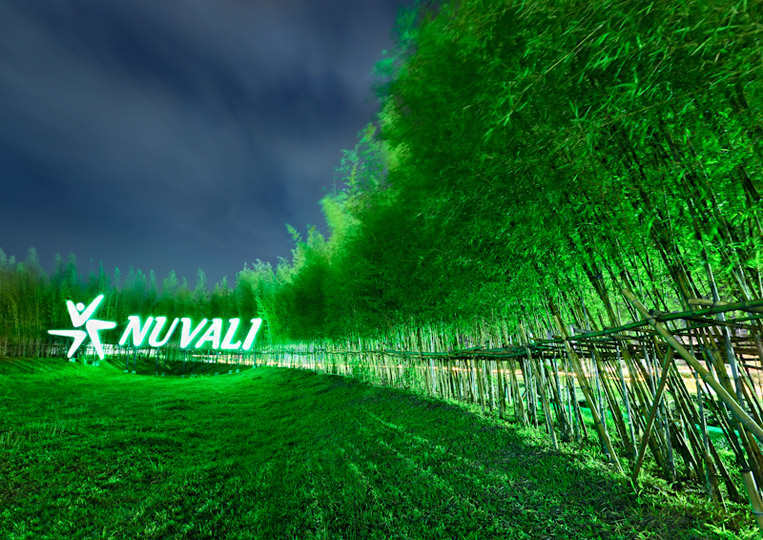 Initiating a future-oriented, mixed-use metropolis, NUVALI nurtures the promise of a distinguished legacy, assuring that the land’s history of productivity and success continues for generations to come. 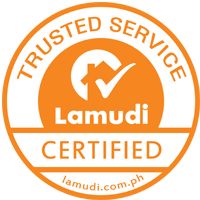 With over 50 years of experience in real estate, Ayala land, Inc. has earned a reputation as the country’s leading real estate developer. The company aspires to build top-class products and services, move with scale, and maintain strict financial discipline throughout the company, recognizing that the satisfaction of its customers, patrons, shareholders, and other stakeholders remains the ultimate measure of its success. 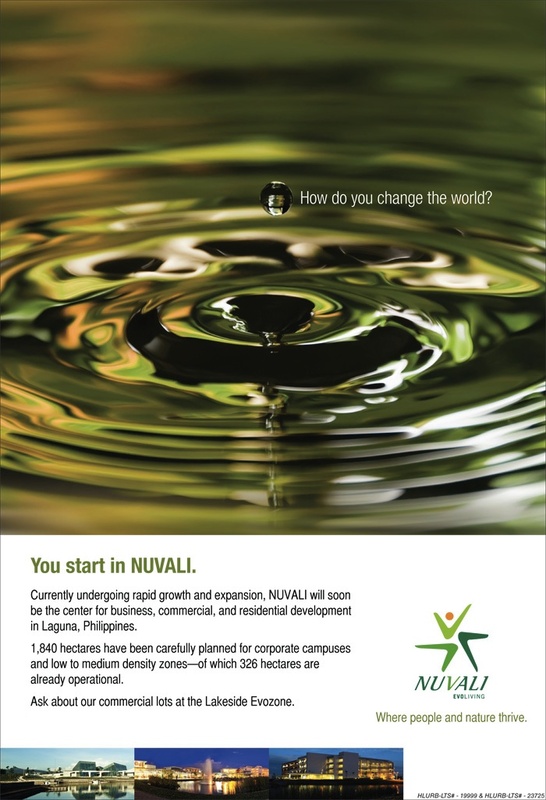 NUVALI is a collaboration between Ayala Land, Inc. and the Yulo family, a merging of efforts to transform the Yulos’ 1,860-hectare property in Canlubang, Laguna into a wholly sustainable community development. 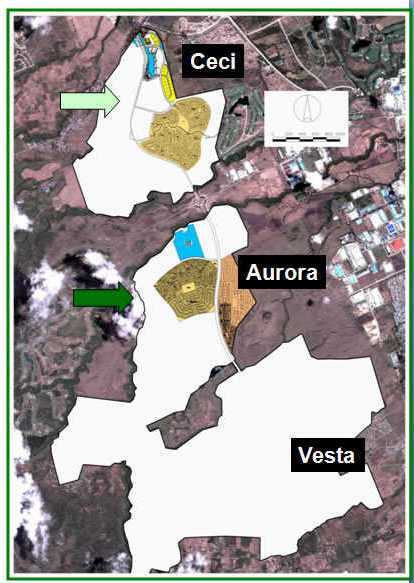 The land is divided into three parcels–Ceci, Aurora, and Vesta–and is within one of the most rapidly urbanizing regions in the country. Ayala Land and the Yulos recognize the rich potential of this land and advocate its use of establishing a strong future. Around 300 manufacturing industries generate nearly 400,000 jobs. Php 374.1 Million in Business Taxes in 2010, in addition to the Php 121 Million in taxes collected from PEZA industries. 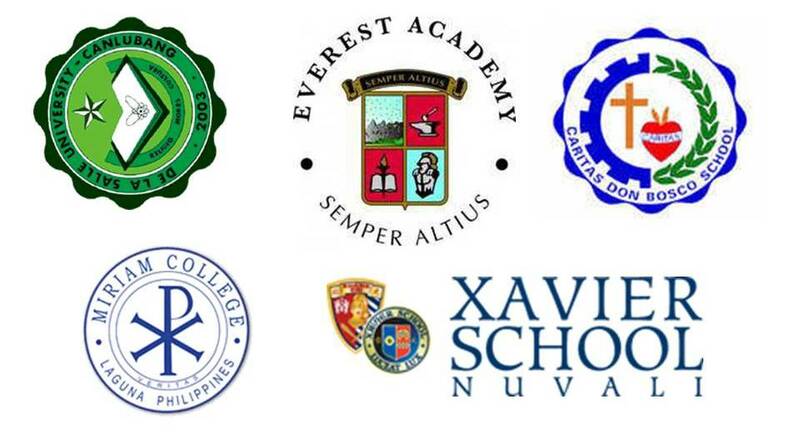 Seventeen (17) Colleges and universities including San Sebastian College, University of Perpetual Help Dalta System, Lyceum Institute of Technology, Colegio de San Juan de Letran and Calamba City College along with nine (9) vocational schools largely contribute to the skilled workforce in the city. The ancestral home of Dr. Jose Rizal, National Hero of the Philippines and Calamba City’s pride stands at the heart of the city close to the famous Banga and historic Saint John the Baptist Church. The Baywalk in Laguna de Bay and Wonder Island Resort located at an islet in the center of Laguna de Bay offers the scenery of a beautiful sunrise and sunset.